With the Caribbean Winter Leagues complete and the Red Sox prospects eliminated from the Australian Baseball League playoffs, this will be the last Roundup of the winter. For final regular season stats on all Red Sox prospects who participated in these leagues be sure to check out our Fall & Winter Leagues page. This week's roundup covers the period of January 7-30. The last winter league action is the 2019 Caribbean Series which will take place February 4-10 in Panama. The playoffs came to an end on January 23 with Chris Madera (pictured, above) and the Estrellas de Oriente taking home the title. Madera did not get much playing time over the last three weeks, going 0 for 4 in his only start. Jenrry Mejia, who signed with the Red Sox on Wednesday, made two starts for the Toros del Este in the playoffs. He won his first start after firing six shutout innings, walking one and striking out three while allowing seven hits. He did not fare as well in the next appearance, taking the loss after allowing three runs on five hits in only 2 2/3 innings. 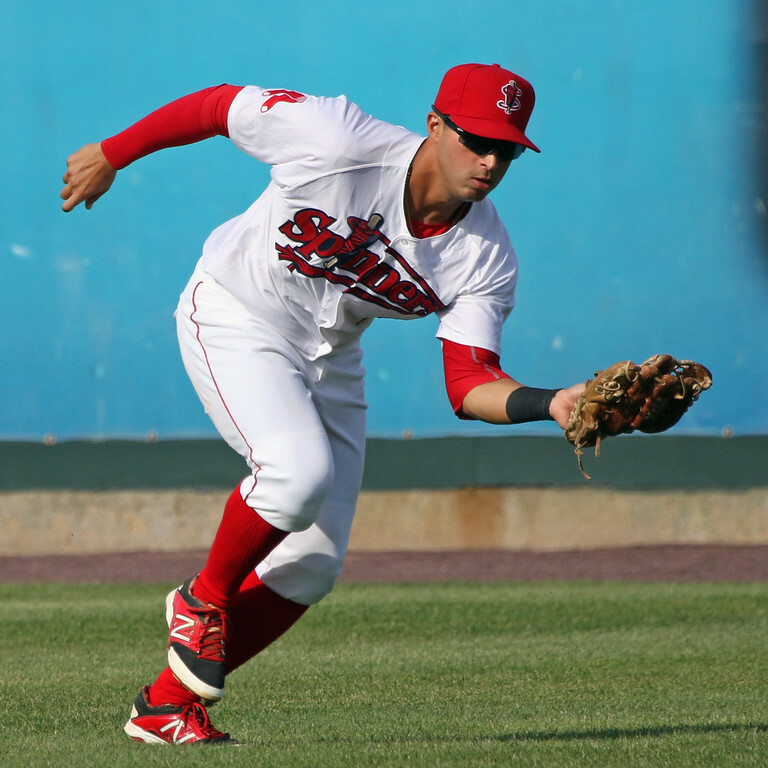 Aneury Tavarez re-signed with the Red Sox last Saturday right after the season ended. He struggled down the stretch in these playoffs, going 1 for his last 11 with a walk and two strikeouts. The only other player to see action was Jhon Nunez who struck out in his only at-bat. Jeremy Rivera and Mayaguez made it to the championship round, but they were swept by Santurce. In 13 games over the last few weeks Rivera went 9 for 43 with three doubles, three walks, and six strikeouts. No other Red Sox prospect saw playing time since the last update. While Deiner Lopez only saw action in two games as a pinch runner, he will still be leaving Venezuela as a champion as Lara beat Caracas in five games. Juan Hernandez also got into two games as a pinch runner but Anzoategui was knocked out in the semifinals. Jake Romanski ended the regular season on a hot streak, going 8 for 25 over his last eight games with a double, two home runs, one walk, and no strikeouts. His final line was .283/.340/.384. Both Harrison Cooney and Daniel McGrath made a few appearances out of Melbourne's bullpen, with Cooney going four innings and allowing one run, while McGrath went 2 2/3 innings and only allowed an unearned run. Melbourne faced off against Canberra in the wild card game on the 23rd but lost 5-0. Romanski went 0 for 3 with a walk, and McGrath and Cooney combined to allow an unearned run over three innings of relief. Jalisco won the best-of-seven championship series in six games, taking down Obregon and old-friend Esteban Quiroz. No Red Sox prospects saw action in the playoffs.